Artichokes make for a great snack on their own. Artichokes were prized by ancient Greeks and Romans and to this day are widely used in Mediterranean and Italian cuisine. The artichoke’s creamy, buttery texture makes it a perfect addition to everything from pasta dishes to pizza toppings, tasty dips to marinated salad toppers. Fresh artichokes will last up to a week if stored in an airtight plastic bag in the refrigerator, but if you have purchased too many to use in that time frame and don’t want to throw them out you can dry them for long-term storage and later use. Clean the artichokes with cold, running water. On a cutting board, use a large sharp knife to cut the tops off of the artichokes. Using a paring knife, remove all of the dark leaves from the artichoke -- including those at the base and the stem -- by cutting them away until you reach the soft, pale interior leaves. This is the heart of the artichoke. 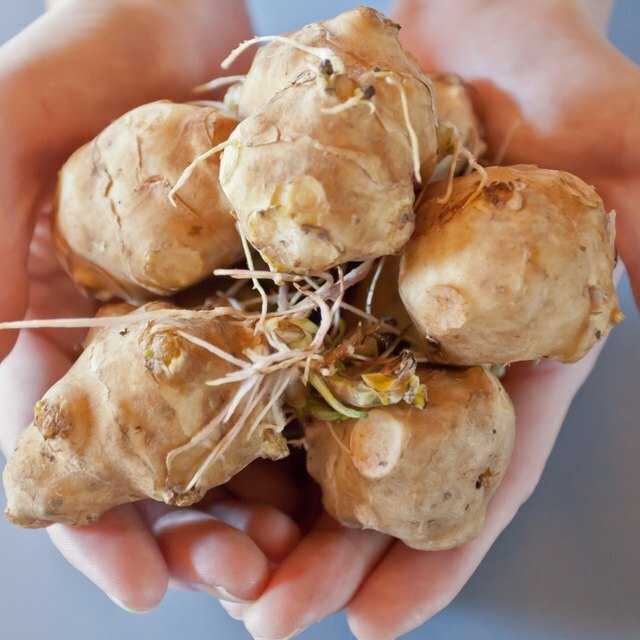 Using a spoon, remove the fuzzy choke from the center of the artichoke heart as it is inedible. Cut the artichoke heart into quarters. Fill a pot with a few inches of water and set the steaming basket inside. Steam artichokes on the stove top in the steaming basket for approximately 4 minutes. Remove artichokes from the steaming basket and place on paper towels to remove excess moisture. Arrange quartered artichoke hearts on food dehydrator trays. Dry artichokes at 100 degrees Fahrenheit until brittle, approximately 18 hours. Stored dried artichokes in an airtight storage bag or container. Save the outer leaves and boil them for a quick and tasty snack. Avoid heating artichokes over 100 degrees Fahrenheit when dehydrating as it destroys the nutritional content. Try topping salads with dried artichokes or add them to casseroles and pasta dishes. Rehydrate dried artichokes by boiling in water for 15 minutes. Add a splash of lemon juice to the water for a better resulting color. 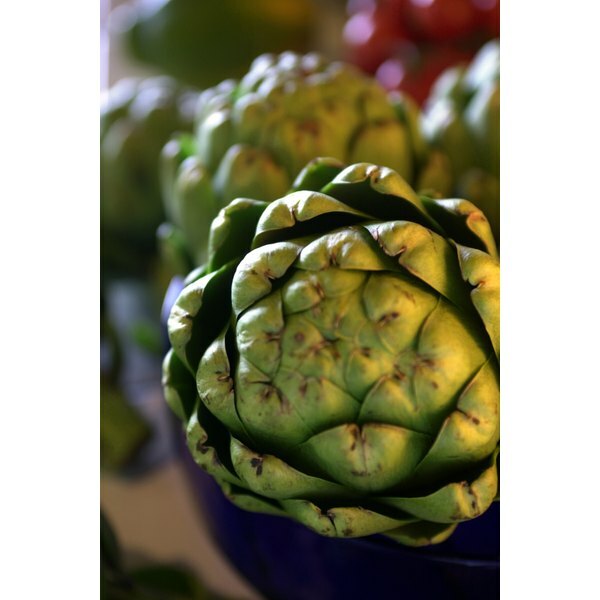 Rub the cut surfaces of an artichoke with fresh lemon juice to keep them from discoloring. The tips of artichoke leaves have sharp spikes so use caution when handling. How Can I Pan Fry Rainbow Trout? Can You Cook With Chardonnay?